It is really happening. Th moment we’ve ALL been waiting for. 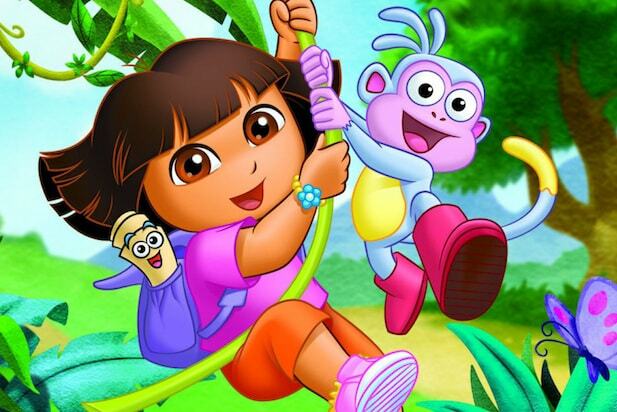 Paramount Pictures is developing a live-action film based on the cultural phenomenon which taught children the value of acceptance and helped millions pick up a few Spanish words, Dora The Explorer. The film has an official release date of August 2, 2019! The film, which was written by Nick Stoller (Get Him To The Greek, Neighbors 2, The Muppets) is still in the pre-production stage of development but has already committed James Bobin (The Muppets, Alice Through The Looking Glass) as the director. Dora, her trusty sidekick Boots, the ever-helpful Map and Bookbag, and the villainous Swiper will soon be adventuring on the big screen. What do you think? Will this idea work? Let us know what you think @superbromovies and in the comments below. Next postSHAZAM!’ Set Photos Give Us Our FIRST LOOK At The Suit!